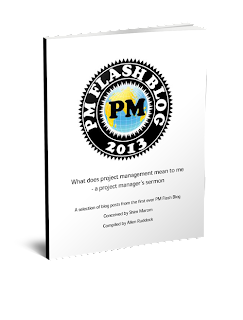 Every project manager speaks to groups in public... it goes with the territory. But, what happens if someone drops in unexpectedly and an off the cuff briefing or speech or speaking opportunity portends? Define a structure: The pressure of extemporaneous remarks comes from their ambiguity. What do I say? What do I not say? The worst and most stressful business speeches are those that ramble without purpose. In forensics we’d tackle this issue by quickly drafting a structure on a note card to support our main point — often an introduction, two or three supporting points, and a conclusion. Put the punchline first: When I worked in consulting, one of the cardinal rules of communication was “punchline first.” Any presentation should have a clear thesis stated up front so that listeners can easily follow and interpret the comments that follow. Remember your audience: All it takes is a few lines to make an audience feel acknowledged and a speech feel fresh. Tie the city in which you are speaking into your introduction. Draw parallels between the organization you’re addressing and one of the stories you tell. Mention someone by name, connecting them to the comments you’re offering.